AFN recently contributed to two different events. 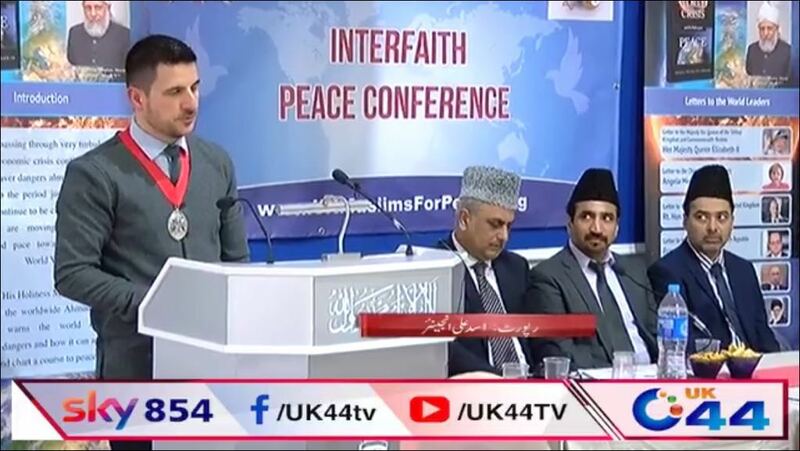 Religion – a Source of Peace and Harmony in SocietyOne was organised by the Ahmidiyya Muslims where 6 different speakers gave their input on how different religions approach peace. 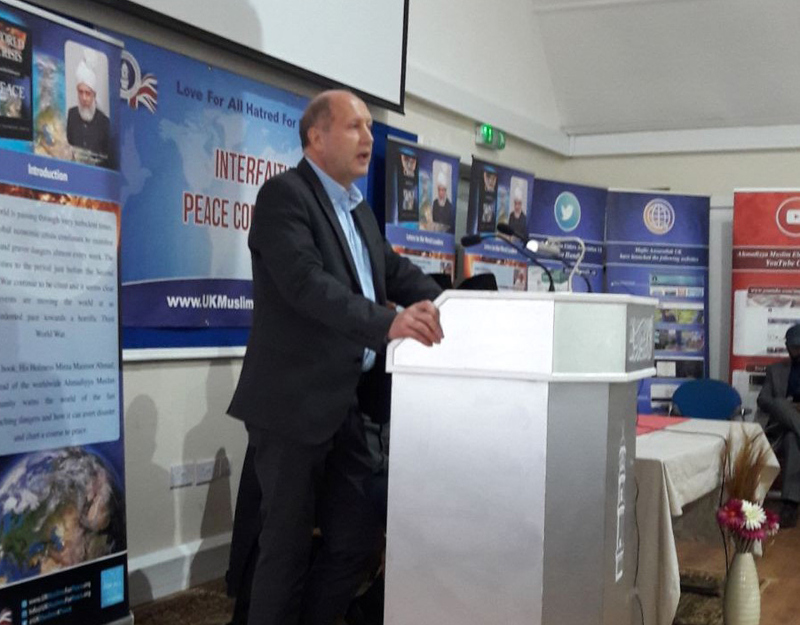 At the event were speakers from the Sikh, Quaker, Christian, Muslim, Hindu religions and AFN Director Martin Weightman gave a human rights and interfaith perspective along with insights from his own religion, Scientology. 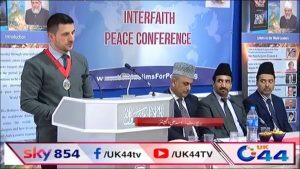 As may be expected, all participants concluded in different ways that religions in themselves were not the problem but it was when a religion was used for political or other self-interested purposes that conflict came about. The event was rounded off by the D/Mayor and Councilor Carlos Portal Castro who explained how he had developed a great respect for the power of religion to bring people together and provide support. At another event AFN Director also gave a presentation to the Annual Conference of the Legal and Religious Scholars Network (LARSN) which took place at the University of Cardiff. LARSN is a group of scholars from around the world who have a wide variety of interests in different aspects of religion. The day was fascinating and subjects were quite varied with just some examples being the potential conflict between the European Union and Council of Europe court systems with regards to how this could impact on freedom of religion and discrimination against women wearing head coverings as an expression of their faith. AFN Director’s presentation was on the legal and political actions taken against minority religious movements around Europe and charted the main sources of discrimination over the last 30-40 years and how these had been responded to by some of the groups.